These old tattoo guys were good. Try this at home. 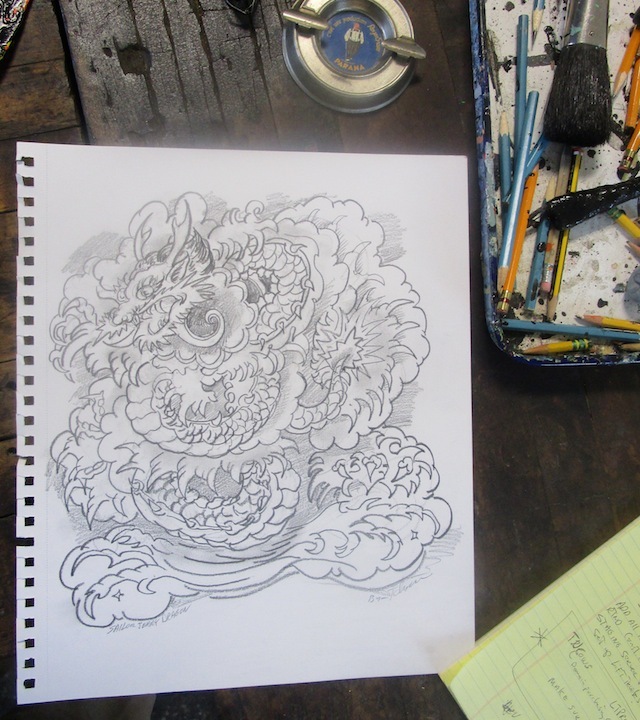 Copy freehand (no cheating by tracing) a Sailor Jerry dragon. Or anything else by one of the great masters like him. Not so easy. Now, try to get it down on somebody's back at midnight in tight quarters with a large group of servicemen watching on a Saturday night in Honolulu's Chinatown. 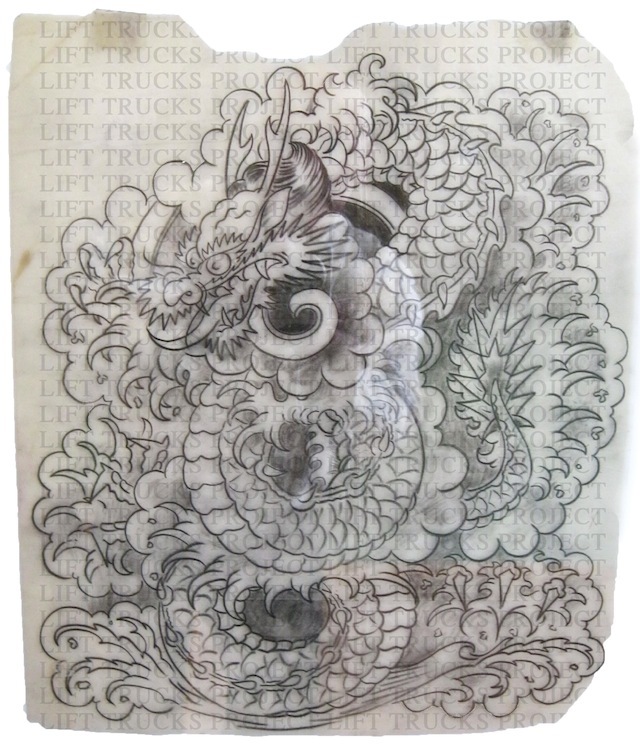 Rubber gloves on, buzzing tattoo machine, trying to get the right ink balance, light touch but the right touch. Ouch, the victim sez. Just trying to copy the original drawing's enough for me. And doing a mediocre job at that, thank you very much. Really doesn't look that bad. That is, until you look at the original. Sailor Jerry, soft pencil on tracing paper, 11 by 14 inches, date unknown. From the esteemed Sailor Jerry Swallow collection by way of Mike Malone from the original China Seas, Honolulu, Hawaii. Newer PostDon't Buy That, Buy This! Older PostHere There Be Dragons.